Lisa Alzo of TheAccidental Genealogist is having the fourth annual "Fearless Females: 31 Blogging Prompts" for the month of March to Celebrate Women's History Month. There is a topic for each day of the month of March to commemorate the "Fearless Females" in our families. 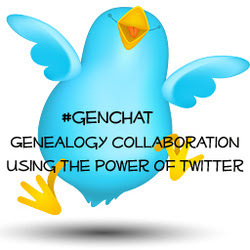 The topic for yesterday, March 21, was "Describe a tender moment one of your female ancestors shared with you or another family member." 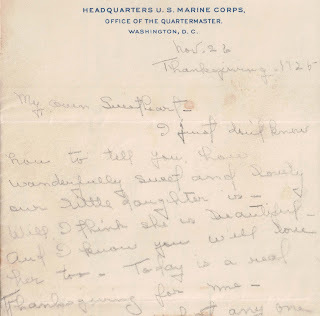 I thought of the letter my maternal grandmother Martha Leona Roberts wrote to my grandfather William (Will) Liming Redles after the birth of their new daughter, my mother. 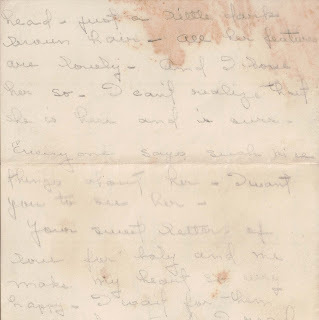 She must have looked lovingly at my mother while she wrote this letter to my grandfather. Will was an officer in the U.S. Marines. A few months after he and Leona were married on May 8, 1923, in Bryn Athyn, Pennsylvania, they sailed to his new duty station of Port au Prince, Haiti. They were to be there for a year or more. By March 1925, Leona was expecting their first daughter, and in April of that year, she was back in Valdosta, Georgia, with her family waiting to give birth while Will remained in Haiti for a few more months. It's surreal reading my grandparents letters. 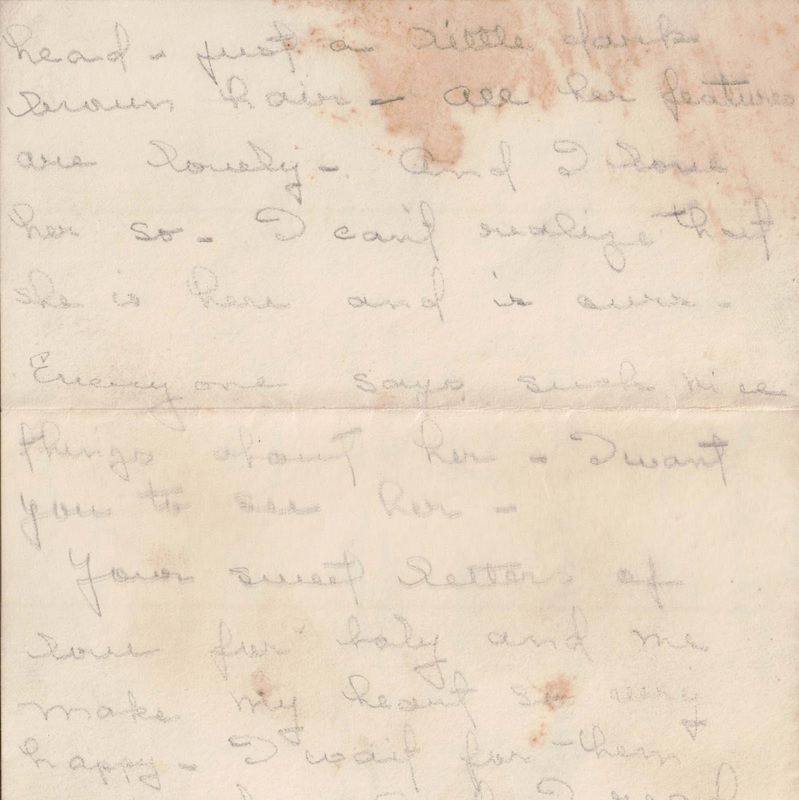 Dozens of them are love letters from Will to Leona--letters she saved. Tucked into all of these letters I found three from her to him that he must have kept (he didn't believe in saving a lot of letters because they created clutter). I'm glad he saved these! What a sweet letter about my mom! That is beautiful. What complete happiness! I'm glad Will saved a few letters, and I know you must wish he had saved the rest. He'd be astounded that here we are reading this potential "clutter" and feeling its emotion. (I like it when she says "I hope not" -- loving but honest!) In the picture, the baby's eyes look like the mother's in their shape. What a pure moment. I got a little misty-eyed when I first read this letter. I laughed when I saw she wrote "I hope not." 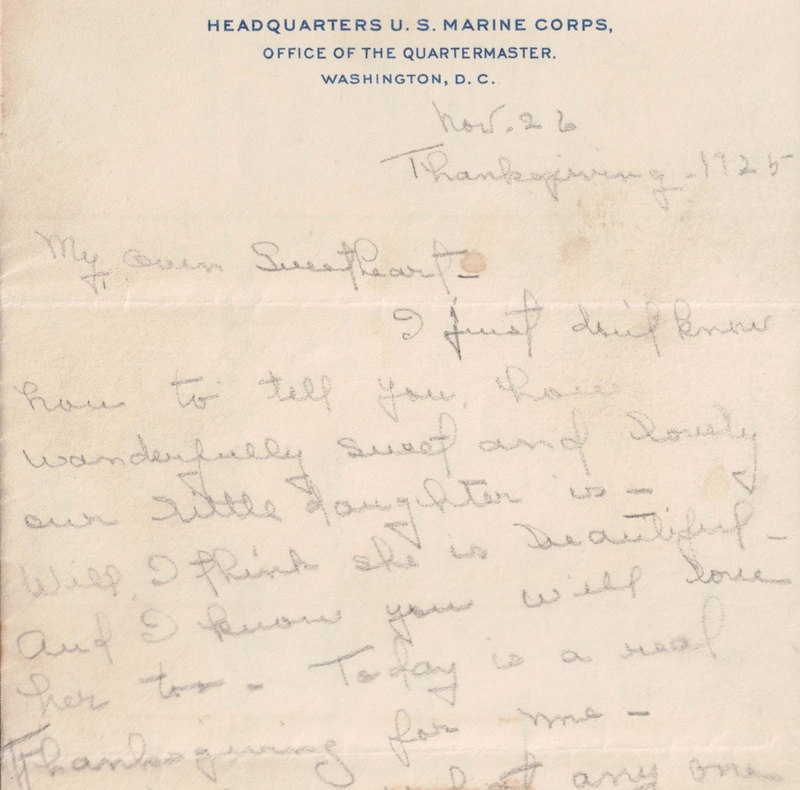 I sure do wish he'd saved more of her letters. 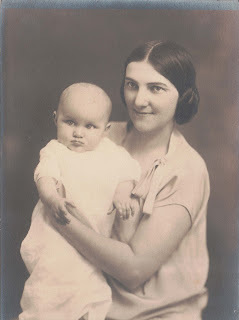 I love that photo of my mother and grandmother.